Virgo Health has picked up the PR account for Reckitt Benckiser footcare brand Scholl, after a three-way pitch. Scholl becomes the fifth Reckitt Benckiser brand on Virgo’s books, following an agency review by the consumer product giant. Virgo already handles PR for Nurofen, Strepsils, Lemsip and Gaviscon. 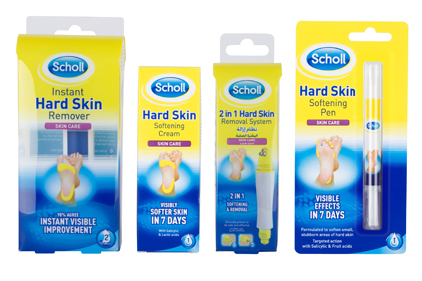 Alongside condom brand Durex, Scholl was added to Reckitt Benckiser’s portfolio of products following the firm’s acquisition of SSL International in 2010. Prior to the review, PR for both Durex and Scholl was handled by Cambridge-based agency Myriad PR. Following competitive pitches for both brands, Myriad is understood to have retained its business with Durex, while Scholl moved to Virgo. It is understood that Myriad repitched for both accounts. Virgo is to support Scholl’s full UK product range and work with new ranges for hard skin and cracked heels. The brief includes servicing the Scholl press office, media relations, and launching a number of topical campaigns. Earlier this month, Reckitt Benckiser announced the retirement of CEO Bart Becht after 16 years in the role. He is to be replaced in September by Rakesh Kapoor.